How many times have you prayed for your kids? Wow. I have no idea. I have prayed for my children all their life and my oldest born in 1990. I prayed before she was born. 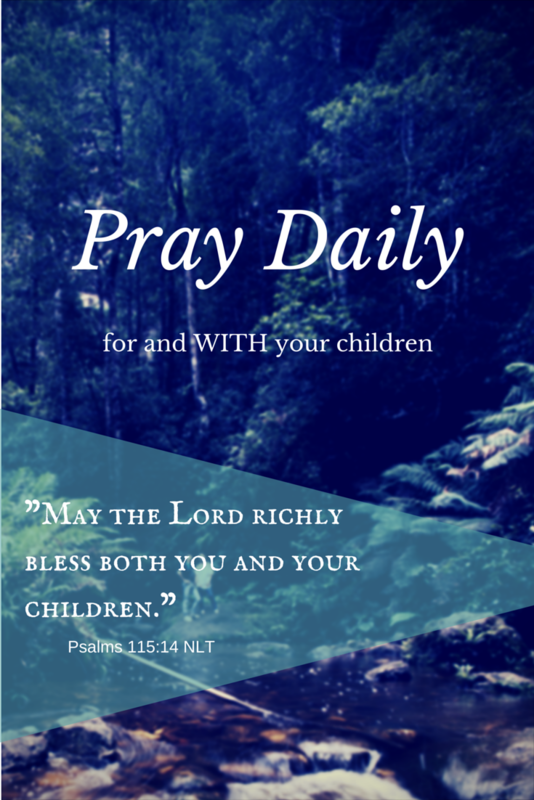 Are you praying daily for your kids? I had breast cancer when I was 24 years old and the doctor told me I couldn’t get pregnant for at least 2 years. I ended up waiting three. At the time my doctor’s concerns were, pregnancy could cause the cancer to return! My cancer has not returned and it has now been 27 years! God is faithful. My baby was born on April 13, 1990, my “miracle baby“, as my doctor called her. My cancer doctor came to see me the day she was born, 23 years ago and he is still my doctor to this day. Great man, great doctor! I was the youngest cancer patient he had ever had. Do You Want God to Bless Your Children? Sure, we all want our kids blessed by God. We pray for them all their life and do our best to lead them and guide them as they grow. I have prayed over my kids and cried for them and with them. I love my babies!! There is nothing as special as being a mom! What a privilege and what a blessing from the Lord! God tells us over and over in His Word; if we obey, HE WILL BLESS! God gives us His commands not to hurt us, but to bless us. He gives us these “do’s and don’ts” to give us the boundaries we should stay within, to protect us from bad choices and the consequences which follow. He has great plans and blessings waiting for those who listen and obey His commands. 1. Ask God to help you draw closer to Him. He wants a relationship with you. 2. Ask God to forgive you when you fall short and ask Him to help you be more obedient to His commands. 3. Ask God to protect your kids, provide for your kids, and guide your kids! 4. Ask God to help you pray daily for your family. I have prayed for years for my children to fall in love with Jesus! See, I know if they fall in love with Him, they will have the desire to live for the Lord and serve Him!! Tell me how God has answered your prayers for your kids below! Brenda- what a reminder to keep praying…and never stop. I too prayed before they were born…and continue to pray. I have found prayers are not always answered the way in which we want them to be… but I have found the faithfulness of God to be big enough I. the hardest of hard places…. 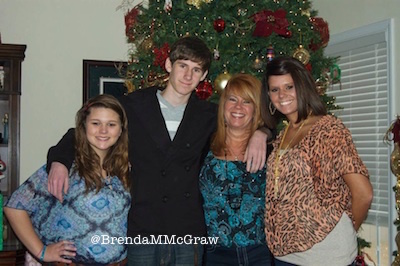 Blessings sweet mama and grandma….I agree the grands are such an incredible blessing !! Thanks mom for always praying for me and never giving up. I know through my years ive made you pray many many times for me. 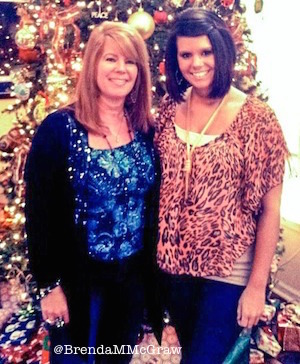 I love you and thank God for giving me so a mom, best friend, and role model! I love you!! 23 years is a long time. Keep it up. I try to make it a point to pray for my kids and husband whenever I can. They are always on my mind, so it’s easy to remember. Glad to hear you are blessed with such a great family. I found you through the Writers Bucket List Group! My sons are 26 & 30 and I too prayed for them all these years. I also prayed for their future spouses which I am sure you did/do also. It works! I have a delightful daughter-in-law now and I am sure that son #2 will also bring a great new daughter some day too! What a lovely family, Brenda. So glad cancer couldn’t stop you from having those blessings! Agreed – I love how it didn’t stop her and even gave her a new appreciation for the days after. Like you, I prayed for my kids before they were even here. Then I miscarried three years after my son was born. They said I had to wait a year to become pregnant because I had come in contact with someone who had TB. So I had to take a medication for a year. When the medication was completed, Nathan and I used to pray for a sibling for him. Every day I took the pair of pink booties down from the top of the fridge and we’d pray. A couple of years later Jessica was born. I nearly died having her, but God protected us both. Me with sky high hypertension, and Jessica, a little 3 1/2 pound blessing. And now that they are 33 and 27 I continue to pray for them. That they would follow God. And they do. And I get the bonus of praying for Nathan’s little ones too. What do I pray? The same thing. I think being a mother is a wonderful idea God had. But being a grandmother is right up there with it!